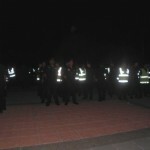 forum on: bersih 2.0 crackdown – EO another ISA? – welcome! You are here: Home › announcement › forum on: bersih 2.0 crackdown – EO another ISA? Time: 8:30 – 10:00 p.m.
On 2nd July 2011 and preceding the 9th July Bersih 2.0 rally, six civilians, Choo Chon Kai, Sarat Babu, Sarasvathy Muthu, Sukumaran A/L Munisamy, A. Letchumanan, and Dr. Jeyakumar Devaraj, were arrested under the Emergency Ordinance (EO6). 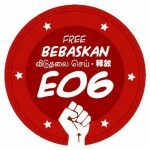 After countless of press statements and candle light vigils by various organizations, the six civilians, or also known as “EO6”, have still not been released by the authorities, and to this very day, are detained in the Royal Malaysia Police headquaters in Bukit Aman. Bersih 2.0 Crack-Down: “EO Another ISA” Forum is a forum organized by SUARAM Penang, Gerakan Mansuh ISA (GMI Penang), PEWAJU, ALIRAN, DEMA, Sembang-Sembang Forum, The People’s Green Coalition, and The Coalition for Good Governance Penang that aims to address the background and facts of the six civilians and events related to Bersih 2.0. The forum also seeks to further provide a greater emphasize on the issue of detaining individuals without trial. For enquiries, please contact Suaram Penang branch coordinator Ong Jing Cheng at 016-4015052. ANGRY RANTING!! bersih and EO6/PSM6!